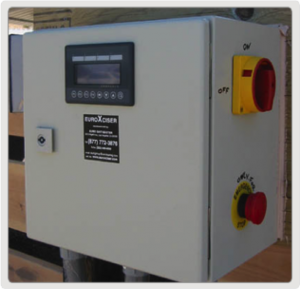 We offer Manual and Fully Programmable Controller options for our Horse Exerciser. 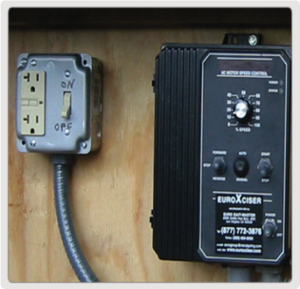 Nema4 enclosures, designed for rugged outdoor use. Designed with the latest technology in AC motor speed control and convert 110V and 220V single phase input into 220V three phase required by the motors. Compact and very easy to use by untrained grooms. Programmable controller upgrade option available. Simple to use, rugged for outdoor use and economical. Allows operator to adjust speed for each gait while running programs. The best part, is you get to set up how you want to customize your training plan with your horses.